Course Aim: To teach powerboating up to the standard required to complete a short coastal passage by day. In essence this course aims to introduce those boaters who have previously stayed ‘close to home’ to travel that bit further and undertake short coastal passages. The RYA teaching ratio is one Instructor to three students to one boat. We will often run multiple boats on courses though. Candidates should be competent to the standard of Level 2 (including the coastal endorsement). Whilst the course does include time on developing your boat handling we will not have time to develop basic techniques. It is recommended that attendees acquire a First Aid certificate and VHF operators certificate either before or after attending the course. 16. Children over 16 (and under 18) can attend a normal course at any time but we must have the parent/guardian’s specific permission – please call to discuss. Between March and October we run Intermediate courses on our boats at least every month but for groups of 2 or 3 are always happy to schedule dates to suit your diary. If you are a commercial or governmental organisation or a group of people then we can organise a course to suit you. 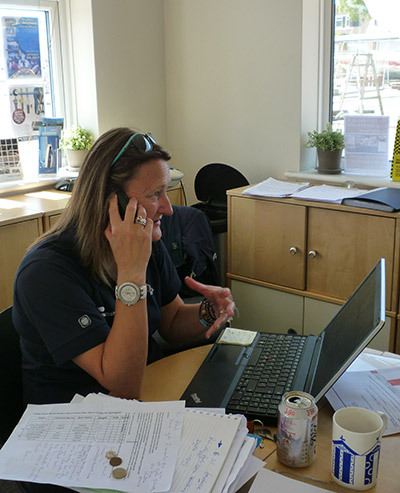 Why choose Powerboat Training UK for your Intermediate Powerboat course? Our boats ~ with 7.8m and 6.8m Ribcrafts as our main teaching boats we have invested considerably so that you get to use quality kit in great condition. 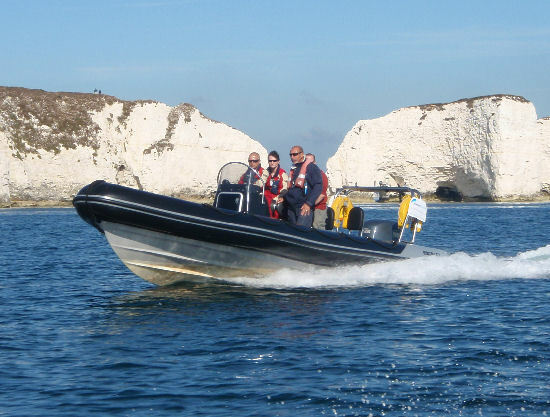 Each RIB is fully equipped for training up to Advanced level and are fitted with Icom and Garmin electronics. These are perfects boats for coastal passages and make great teaching boats for the Intermediate course. We are also very proud to have written the RYA Powerboat Handbook for the RYA and 2014 saw the launch of the RYA Advanced Powerboat Handbook. What is included in the course price? ~ when you undertake your Intermediate Course on our boats then the price you pay includes Fuel (often charged as extra at the end of courses by schools), and free use of waterproofs (once again often charged as an extra). Price includes VAT too – yet another common extra. Special Offer No2!! 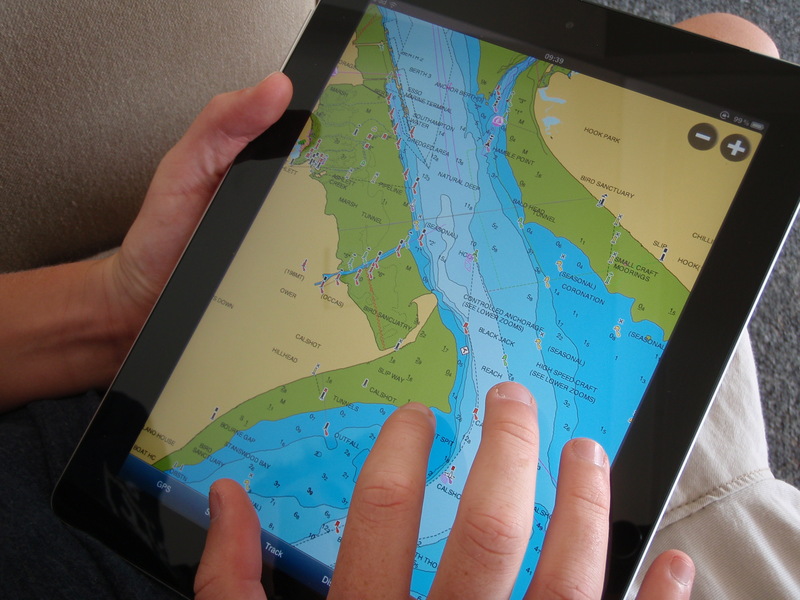 We also offer the opportunity to book the classroom based and online versions of the RYA Dayskipper Theory Course when booked alongside this course. The Dayskipper Theory course is a great way to really develop your theory skills and over the 5 days of the classroom course really ensure a strong understanding of the theory areas needed to make coastal passages. Its £295 for the online course and £360 for the classroom based course (discounted from £395 – a great deal! Reflecting a demand for a course to follow naturally on from Level 2 the RYA launched the Intermediate Powerboat course. This course is taught by Advanced Centres on craft must meet the RYA’s revised minimum standards. The course lasts 2 days and is a very popular course and naturally builds on the basic building blocks of skill created and developed in the Level 2 course. Broadly speaking the course divides into i) developing the core navigation skills to be able to undertake coastal passages ii) Using these skills afloat to undertake a passage/entry to a port safely. Day one will tend to start with a bit of a recap on the theory side to see where you are relative to the level that we need to achieve during the course. You then go afloat and spend some time practicing and enhancing your close quarter boat handling skills. Once back in the classroom the instructor will look in detail at the areas of passage planning and pilotage so that you have the skills to put it into practice. Day two will spend lots of time learning new skills such as the ways to use GPS to create effective and rapid position fixes in small open craft. 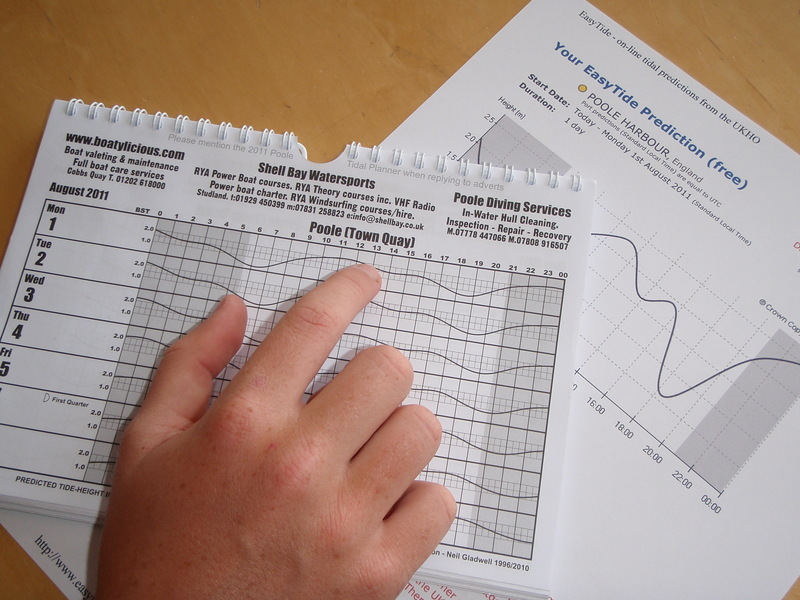 You’ll use the skills developed on day one to plan and execute pilotage plans setting you up well to be able to use these skills where ever you choose to go boating. The real benefit of of our training locations in Poole and Lymington becomes apparent when you undertake a course such as the intermediate course. There are so many channels and entrances in the areas that we can use to practice the skills that the course develops that it makes using these skills so much easier. In 2013 new RYA rules upped the level of craft needed to run the intermediate courses and it became a requirement to use craft just like our 6.8m and 7.8m Ribcrafts with forward facing seats behind the console carrying significantly increased levels of equipment. We totally supported this decision as it means that the course is run on the type of craft that are really suited to the coastal passages that we are training for. All of our Ribs surpassed these new requirements for many years even before they were thought of. Our Instructors that will deliver the course are all highly experienced Advanced Powerboat Instructors holding current Commercially Endorsed Advanced Powerboat Certificates. These instructors know the areas where we run these courses very well but critically have real first hand experience of making passages in small open craft so understand the practicalities and limitations of doing so. Those who are quite new to boating and wish to build on the skills and knowledge gained in their Level 2 course. As a guide typically a 12 month gap is perfect however if after getting your Level 2 course you have got plenty of hours under your belt less than 12 months can be fine. Call to discuss if you are unsure. The course is also perfect for those who have boated for years but want to expand their horizons. The Intermediate Course can ‘bolt on’ perfectly to many years of experience opening up new horizons and improving confidence and the enjoyment of exploring new places. For those without their own boat the Intermediate course is a great way to get more time afloat whilst learning at the same time. 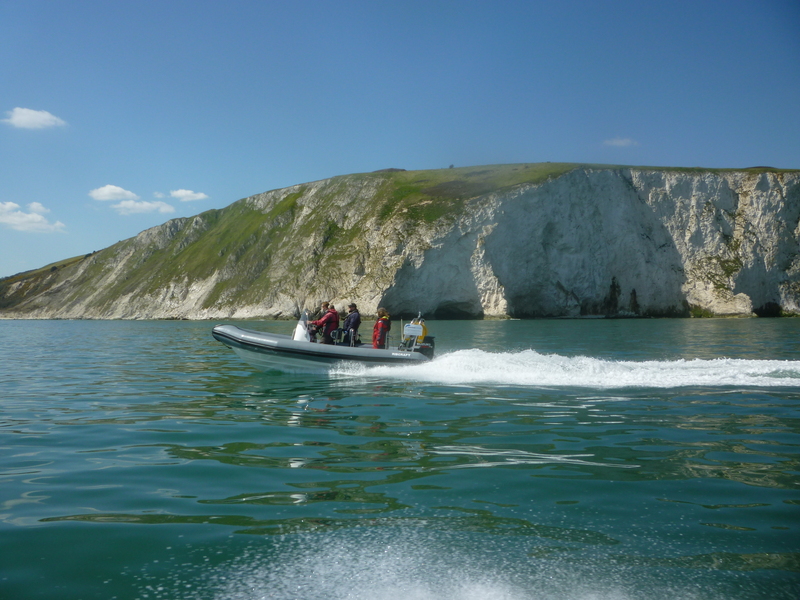 The course sets you up perfectly for chartering one of the Solent RIB Charter bareboat ribs. We train as many people on their own boats as we do on our own craft for the intermediate course. If you have your own boat then as part of the course (weather allowing) we would aim to plan and execute a trip to the Solent or Weymouth (If running from Poole or elsewhere if at another venue). Aim: To teach powerboating up to the standard required to complete a short coastal passage by day. Assumed knowledge: Candidates should be competent to the standard of the National Powerboat Certificate (Level 2) with Coastal Endorsement. “Just to say thanks for a fantastic Intermediate Course at the weekend, good to refresh on some handling skills and also cover some of the stuff from the Dayskipper theory on top of the new stuff. However, the sojourn into the bay in a very lumpy sea was by far the best bit, had a great time and really enjoyed the experience.